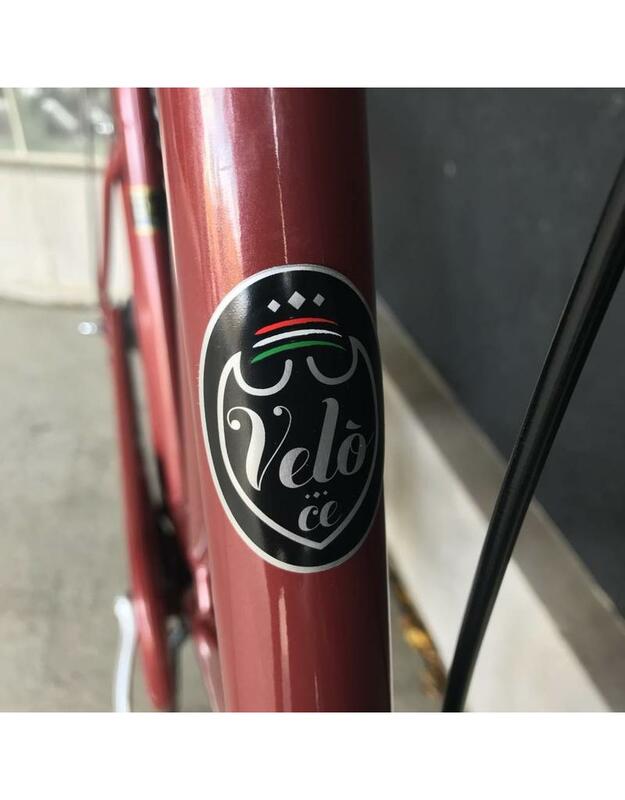 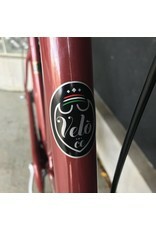 Velo-ce Draisina Classic - J.C. Lind Bike Co. 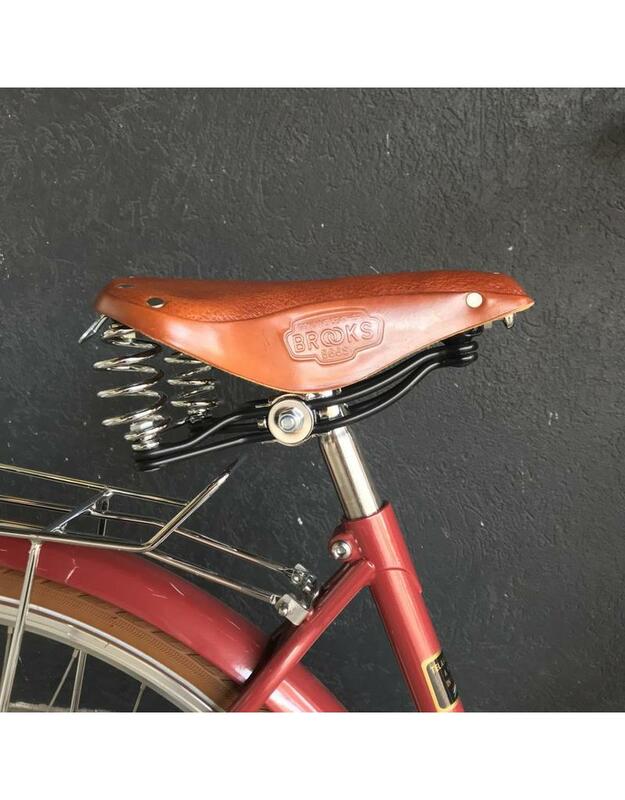 The Draisina Classic is handmade in Milan Italy. 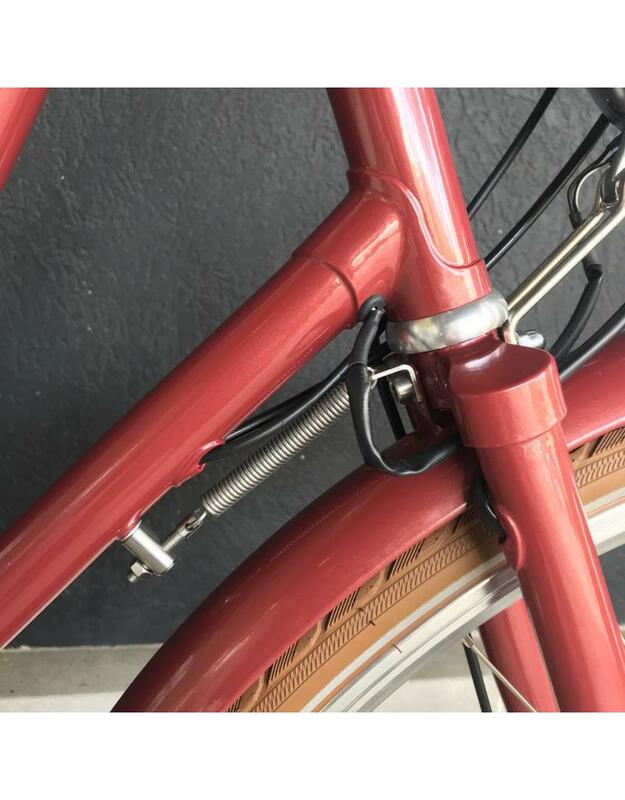 If your preferred way to get about town is by bike and stylishly at that, but you prefer an upright and comfortable ride without sacrificing speed, the Velo-ce Draisina Classic might be the bike for you. 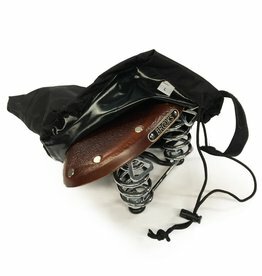 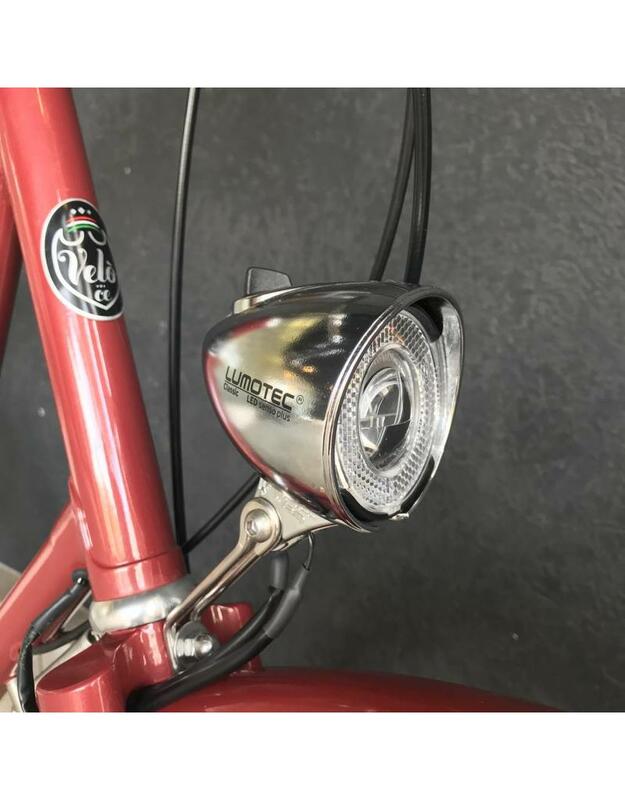 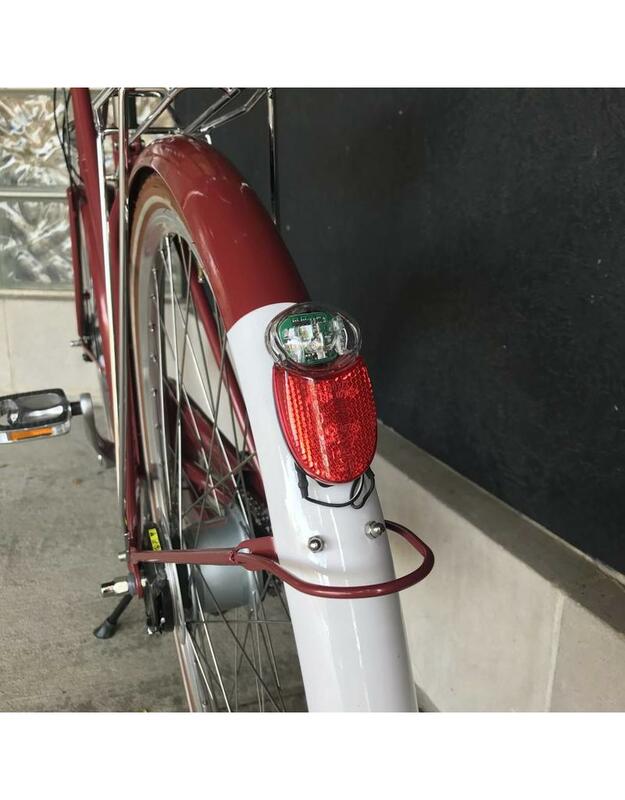 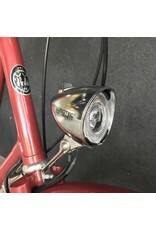 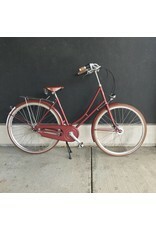 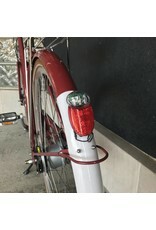 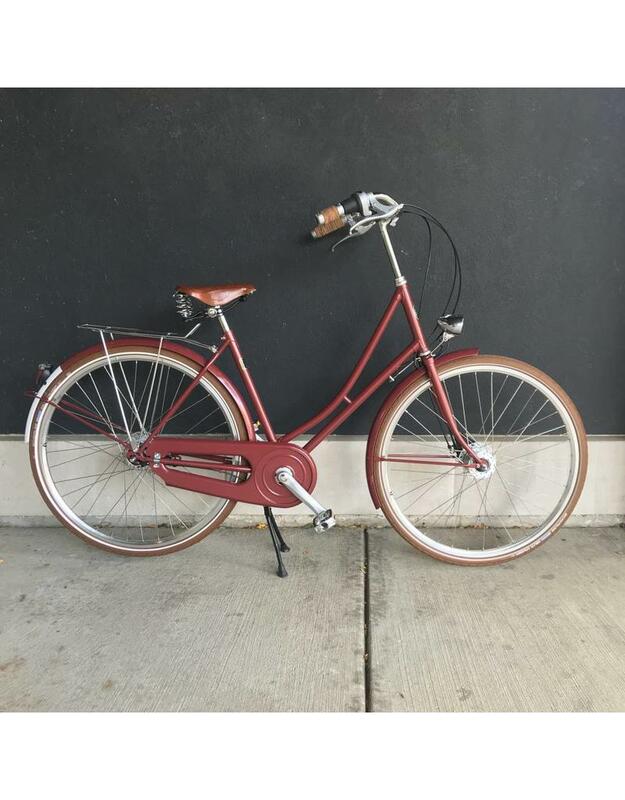 It synthesizes Italian style, sportiness, and ride comfort into one machine, and manages to still come with all the important features in a city bike: dynamo powered front and rear lights, roller brakes, an 8 speed internal gear hub, fenders, a rear rack, and a chainguard so you can wear whatever you want to. 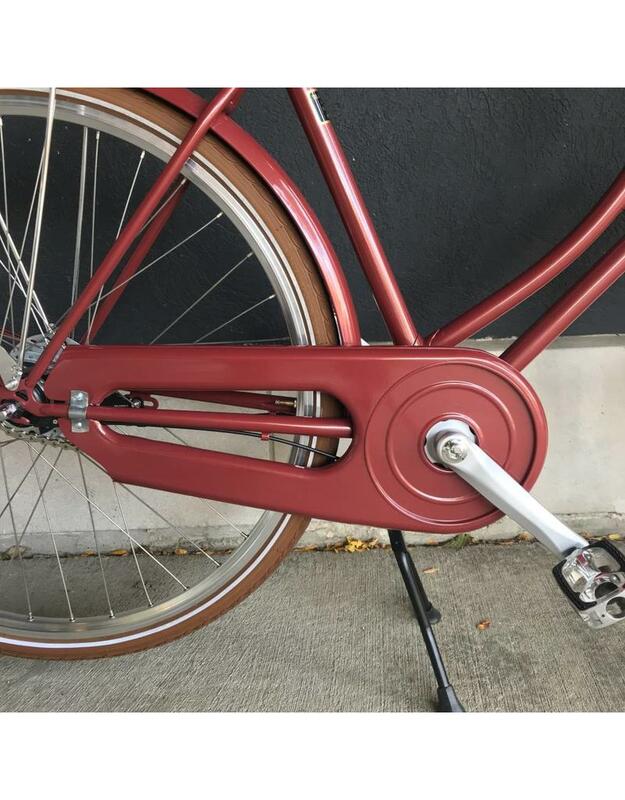 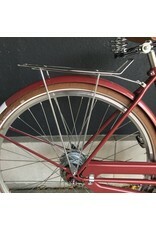 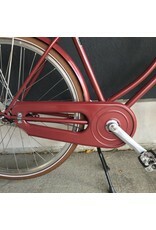 It comes with a fork spring to keep the wheel straight while parked on its double-leg kickstand. 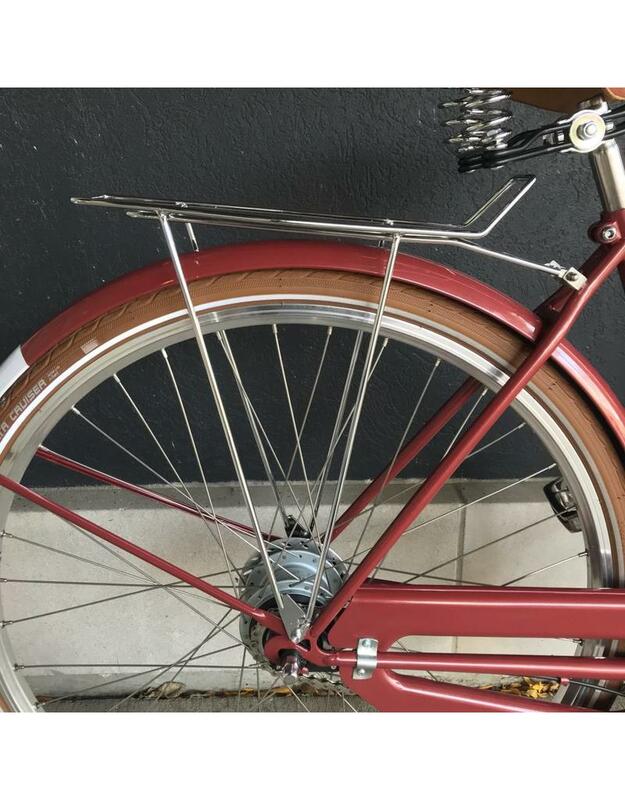 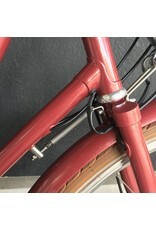 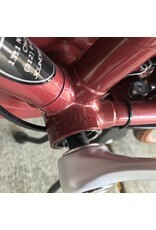 Its tires are a pair of Schwalbe Delta Cruisers which come in attractive, classic colors such as brown and cream (depending on the paint choice). 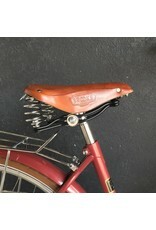 A Brooks B66S saddle and Brooks ring grips add even more classic style, as does the white accent on the rear fender. 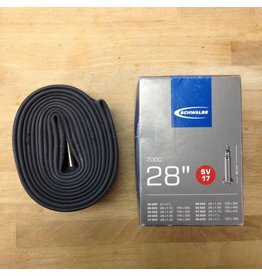 This is a 700x28-45C tube (it will also fit 27" x 1 1/4" and 700B tires). 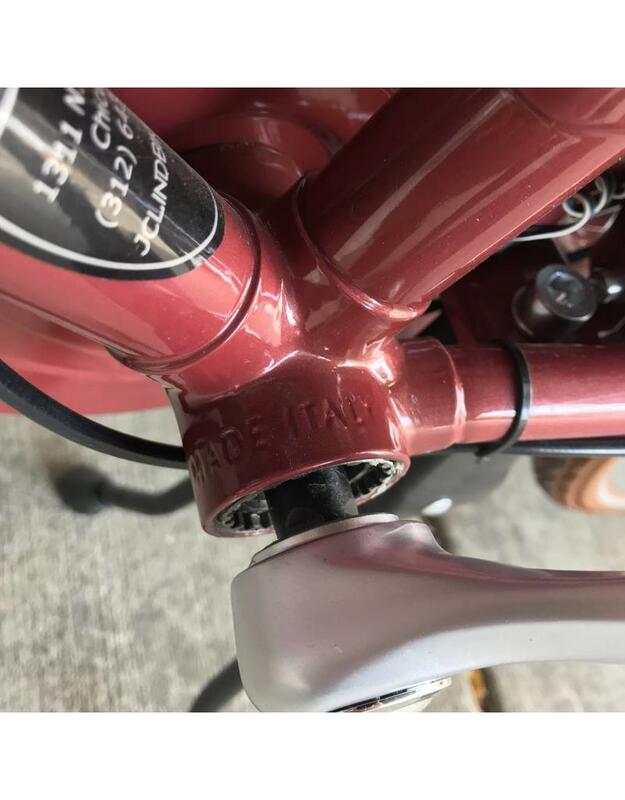 It is a presta type valve and most commonly used on our Gazelle eBikes - the Medeo and Arroyo.